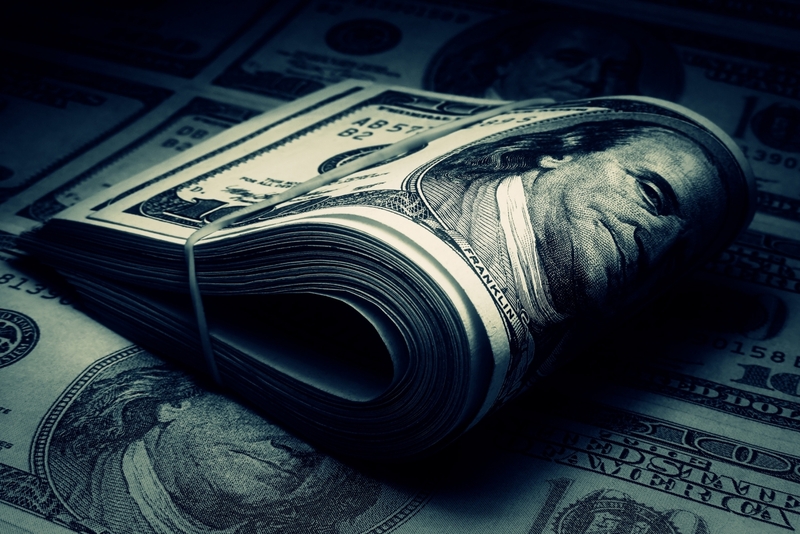 When it comes to money, there are a lot of people with a very black and white notion of what makes them financially healthy. If they have enough money to keep paying the bills and keep eating and maybe have a holiday every year, they’re fine. But no, they may very well not be. True financial health is about measuring the opportunities you have, your ability to cope with risk and what you get out of your various dealings. If you’re making the mistakes below, you need to stop before they come back to haunt you. True financial health comes with understanding. The first thing you have to start understanding is where your money is going and what it’s doing on a regular basis. A budget isn’t just about cutting down your spending. It’s not about limiting your lifestyle. It’s about seeing you make smarter use of your money. Your budget helps you separate essential bills, non-essential bills, and other expenditures. It also helps you find the room in your money to start building your wealth properly. It doesn’t eliminate spending money on life’s luxuries. It just makes sure you stay in the limits by allocating you spending money without infringing on your other considerations. On the much larger scale, you need to figure out the entirety of what you’re worth. Your net worth begins by having as many of your assets value as you can. If you have a home and a car, these are two assets that are going to make up most of your physical wealth. You may very well have other possessions that contribute to that, too. Then your non-tangible wealth needs to be accounted for, too. Bank accounts, IRAs, investments and the like should all be included. Against them, you count any money you owe. Loans, debts and such. Subtract the money you owe from all your wealth. That’s your net worth and that’s how much money in the world you would have if you liquidized everything. The aim of the game, here, is to be well in plus numbers and being far away from the minus. It doesn’t matter what age you are. You should be preparing for retirement as soon as you’re able to start putting money together. This is part of what setting a budget is going to help you accomplish. It’s going to help you find some money to start putting towards your future. Even in your 20s and 30s, there’s a lot you can do to make your retirement easier on you. Take advantage of any 401(k) offers your employer makes to you. If they match your contributions, try to get as much of a match as they can offer. The sooner you start saving for retirement, the easier it is to contribute in later life as well. It’s a common flaw amongst younger people in particular. Some people just don’t understand fully how credit works. They’ll dip deep into it for no reason other than to fund purchases they want. Big dips into your credit should be used for investment purposes only. They should definitely not be used as an emergency fund. Nor should you think of credit cards like a bank account. You don’t know what will happen to your income next week or next month. Use the credit card only when it’s convenient to pay it off. Otherwise, you run the risk of falling into serious debt and tanking your credit score. When you take loans, make sure you understand everything about them. There are a few in particular, you need to think twice about. By releasing equity from your home, you need to understand you run the risk of losing it if things go wrong. If a loan doesn’t take your credit score into account, then it’s likely going to cost more in the long run. Similarly, if someone claims to be interest-free, they could be hiding the truth from you. There’s no doubt that things like interest-free 30 day title loans exist. But there are some that have requirements so difficult to meet to qualify for that no interest that you end up paying a lot more than you bargained for. Always read the fine print when it comes to loans. As we stated, credit cards and overdrafts are no replacement for an emergency fund. They won’t help you if you, for instance, lose your job. Instead, you will end up getting deeper into debt. An emergency fund is there for that exact reason. Similarly, you should insurance set up on the most valuable of your assets. You might even want to set up insurance to protect your income. Similarly, it’s never too early to start putting life insurance together. You need to have provisions for all kinds of situations. From what happens if you’re injured and unable to work to what you’re doing to do if you get into a car accident. As well as buffeting yourself from the risks that can impact your finances, you can improve your chances of making gains as well. Your budget can also help you find space to start building your wealth. But it’s not going to work as well if you’re using a diversity of strategies to do so. For example, it’s not enough to just save. It’s a good way of keeping your money safe, but you might find that even inflation can outpace your growth. Instead, you should be investing alongside your savings. But you need to diversify those investments, too, so you’re not putting all your eggs in one basket. Hopefully, the tips above will help you spot some of the steps you’re taking wrong or were at risk of taking wrong. Start taking steps to do those important financial tasks you’re not doing right now. Your future self will thank you for it. We’re all used to the idea that we can be struck down at any time by the proverbial bus. That’s why so many people in their 20s, 30s and 40s take out life insurance. They want to protect the livelihoods of their loved ones, should the worst happen. Insurance companies pay out for children to continue to have a great education, or for the family to keep the family home. But what about when people get past retirement age? Then what? Is life insurance still worth it? 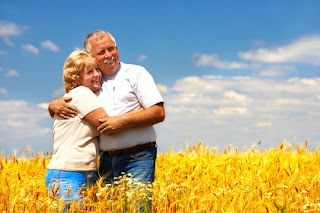 Here we’re going to look at the reasons why seniors should get life insurance coverage. Take a look these potential benefits. It’s a sad fact of life that it ultimately has to end. But life insurance allows seniors to create legacies that survive beyond their physical bodies. It provides a way for older people to be remembered by their families when they’re gone. Life insurance can be paid out to supplement a spouse's’ income. It can be used to pay tax-free financial gifts to grandchildren. Or it can be put towards major life events, such as weddings. The possibilities for leaving a legacy are potentially endless. According to lifeinsuranceforseniorsover80.com, burial expenses are high. Statistics reveal that the average funeral cost in the US stands at around $7,300. Some funerals can cost as much as $10,000, depending on the service and the type of plot. For many families, this is a high financial cost that they will find hard to afford. Many seniors, therefore, take out life insurance to cover any potential burial costs. Small life insurance packages will cover anywhere from $5,000 to $50,000 worth of expenses. Some insurance providers will ask seniors questions about their health. But the majority won’t require medical exams in order to take out a plan. Many seniors are living under a mountain of debt. They either took out big loans in the past that they couldn’t repay, or they lost money in failed business ventures. The last thing that they want is to pass on this debt to their families. So experts recommend that they take out a life insurance policy to cover the risk. Insurance brokers offer a product called a guaranteed level-premium term life policy. You can take out a policy like this that ends just as you’re due to pay off the debt. This means you can both minimize your premiums and cover the risk. Thus, life insurance makes a lot of sense for seniors who don’t want to burden their families with debt when they’re gone. If you’re currently dealing with debt, usa.gov provides information on how to manage it more effectively. If you have a disabled child, it’s unlikely that they’ll be able to provide a good income for themselves when you’re gone. They will need a lot of care, money for their own activities, and finance for medical bills. James Hunt is an actuary from the Consumer Federation of America. He suggests that seniors in this situation take out cash-value insurance. This insurance should provide all the finance that a child will need to cover their living and medical needs. To keep premiums down, Hunt recommends families choose what is known as a survivorship-whole life policy. These policies are also sometimes called second-die policies. They only pay out when both parents of the child die - meaning that premium costs are kept to a minimum. There is a case today for using life insurance policies as an investment strategy. Right now, banks are offering interest rates of around one percent on savings. But for many life insurance policies, the premium is much higher than this. Some policies accumulate 5 percent interest per year. For seniors who are risk averse and don’t want to play the stock market, a tax-free rate of return of five percent is alluring. Of course, to get that return, you’ll have to hold the policy until your death, in which case you personally won’t ever see any of the money. But if you’re a risk-averse person, it might just be the right plan for you. Don’t forget, there’s also the tax advantage. So if you’re sitting on a big pile of liquidity, getting rid of it though a life insurance plan could be a good idea. Now you have a family you can't afford to be as carefree with your money as you have been. 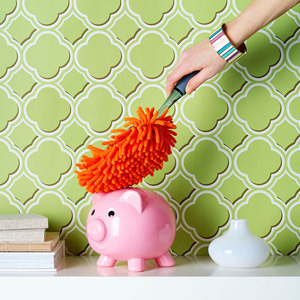 It’s important that you come up with as many ways as you can to save money and cut costs. You need to become more financially responsible now that you have a family. And this is something that you have got to sort out sooner rather than later. A family brings so many extra costs and gives you more cause for concern financially. It’s time to get serious and start making the right decisions for the future of the family. 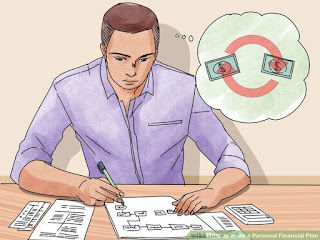 Here are some ideas that will help you to become more financially responsible and help you provide better for the family. Financial responsibility is so crucial that sometimes you’re going to have to take drastic measures. And that’s why you need to look into the possibility of selling your home. 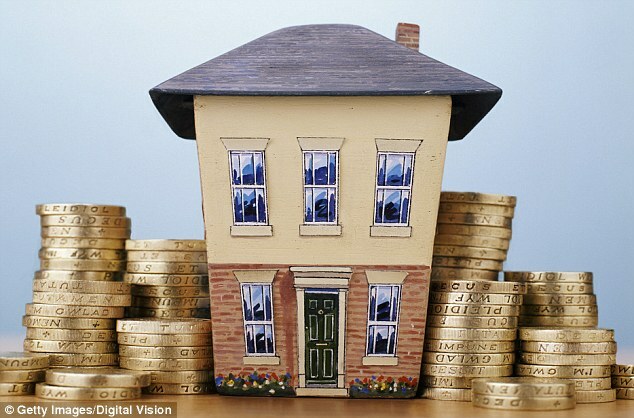 Moving to a smaller or cheaper property can really help free up some disposable income for you and the family. However, it can often be a difficult or stressful experience trying to sell your home. So, you need to look for companies who take the ‘we buy homes in any condition’ approach. It’s good way to fast track a sale, and make sure you aren’t going through a lengthy, drawn out process. Make sure you do what you can to try to live a frugal and cost-effective life. Now that you have a family you have to watch those purse strings closely. Are you as good with money as you think you are? The chances are you probably aren't. So you need to make sure you get better now. There are a lot of things you have to make sure you address to help you achieve a more frugal lifestyle. 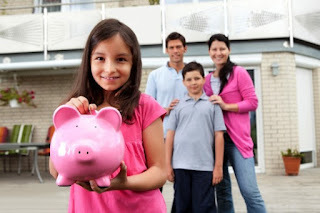 Assess what you can do as a family to cut costs and save money wherever you possibly can. The best way of doing this is to make sure you budget carefully. That means you have to break down the costs of everything you spend. Use an Excel spreadsheet or something similar that you can update often. This will show you any glaring inconsistencies, as well as pointing out where you are overspending. It’s important to do this because it will help you understand where you can cut costs and what really matter in life. It goes without saying, but if you haven't got one already, you need to open a savings account. This is something you need to make sure you do sooner rather than later. It’s important to make sure you are setting money aside to help finance the future of the family. A savings account gives you some focus and allows you to set aside a certain amount of money each month. You’ll find it really helpful as a process of getting more financial security. As you can see, there are plenty of things you can do that will help you are money. It’s important to understand that with a new family comes additional costs and obligations. Now you have a family you here to become more responsible and start making your money stretch further. How secure do you think your financial situation is? Things might seem to be coasting along nicely right now, but is that something that could sustain in the event of a shock or crisis? This is a question that everyone needs to ask themselves. You could be in for a nasty surprise if your financial situation changes and you’re not able to deal with that change. There are some key steps that you can take to make your finances more secure. When you make these changes, your finances will be better able to survive and remain stable in the event of a shock or crisis. So, read on to find out all the information you really need to know about in order to take the right steps for your finances. 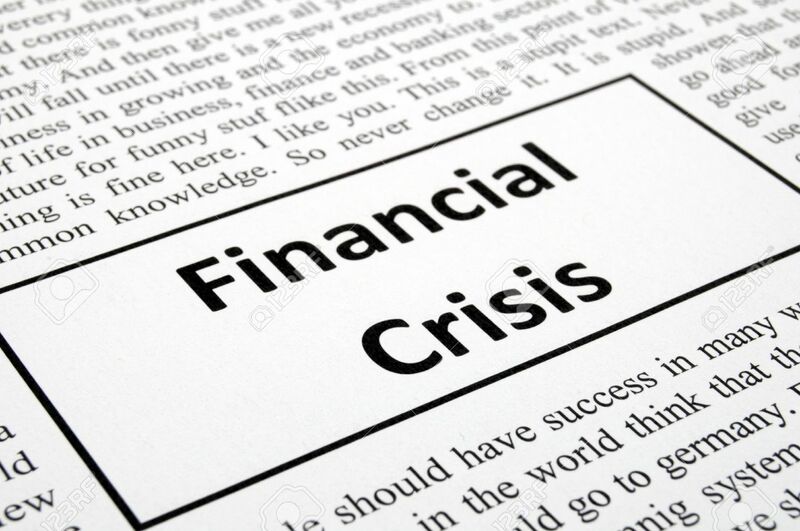 What Kind of Financial Shocks and Crises Could You Face? There are all kinds of potential shocks and crises that could hit your personal finances. You don’t want these to overwhelm you, so you should be very carefully about what action you take. 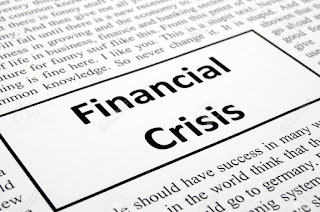 But before we come to that, you should be aware of the most common financial crises. A drop in your income or the loss of your job is a devastating example, and it’s not uncommon either. The death of your partner could have serious financial implications, and major structural damage to your home can too. All of these problems will make it harder for you to make ends meet. Below are some steps you should take to mitigate these issues. Diversifying your income can be a very wise move to make. If you were to lose your job, you would be in the middle of a big financial crisis. Where would your income come from? How would you pay the mortgage or the rent? If you can find new ways to make money on the side, you have some new ways to generate money. You can then fall back on these income streams and make sure that you are able to keep things ticking over until you find a new job. So, think about what skills you possess and how these can be harnessed to make money. There are all kinds of things you can do to make money in the gig economy. 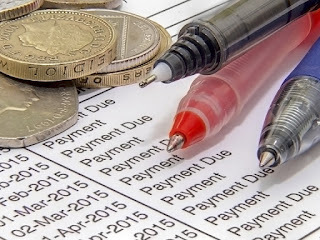 Having a financial cushion to fall back on when you are experiencing financial difficulties can be hugely important. This can save you when you don’t have an income to rely on. You can then pay the bills and pay for food by dipping into the savings you have amassed. It’s hugely important that you’re able to do this. So, set up a bank account and begin to build up cash reserves for your future. You should refrain from taking money out of this account until you really need it. Then, when you do experience a financial shock or crisis, you’ll have the money you need in order to survive. You definitely need to fix the roof while the sun is shining. Regarding your finances, this means paying off any debts you have as soon as you can. This is something that should always be done when things are going well with you. 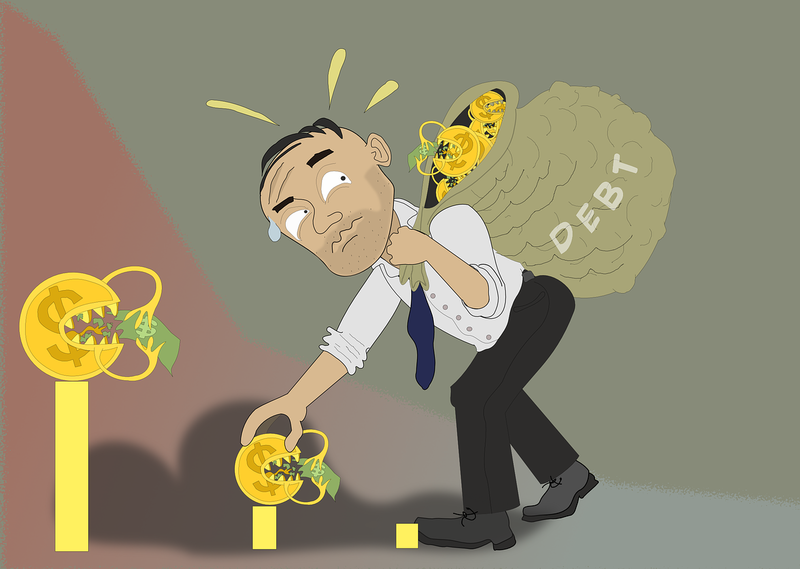 If you have to deal with a financial shock while in debt, everything becomes harder for you. That’s not what you want, so you should do what you can to rid yourself of this debt while you can afford to. 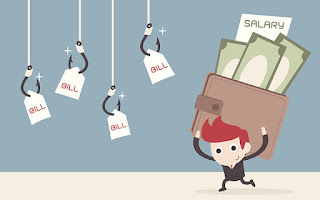 Create a budget and make sure that a significant amount of your disposable income goes towards paying off those debts. Having the right level of insurance can help you a lot when you are trying to get the protection you need. Knowing that you have that backup in place can be a big relief when things aren’t going well for you. For example, if you get sick, knowing you have insurance to cover medical bills is a relief. And if you have homeowner’s insurance, any fixes or repairs that need to be carried out in the home will be covered before. This will potentially save you a lot of money when you need it most of all. So, evaluate your insurance protection and make sure you have the cover you need. Now is the time to start taking action. Think about how you can take the steps outlined and discussed above. When you make yourself more financially secure, your future, in general, will be more secure too. At certain points in life, you may find yourself living paycheck-to-paycheck. This is often the case for people who have just moved out and started working. It’s also common when you’re just started a family, as many expenses will come up. Watching your funds drain away each week can be stressful, so it’s worth finding ways to manage your money. 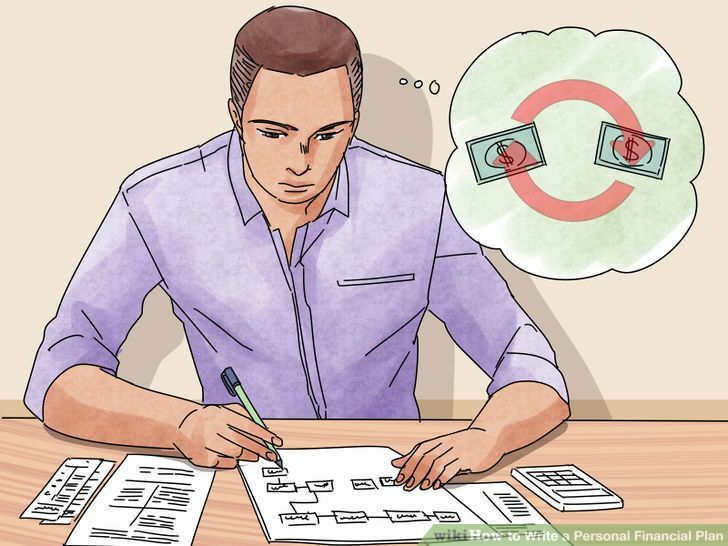 There are many ways you can make living paycheck-to-paycheck easier. For the most part, you just have to evaluate how you’re using your money. There are many methods to save more and make your money go further. Here’s some helpful advice for those living one paycheck at a time. The first thing you should do is assess your expenses and find out what’s draining your money. You may realise that you’re spending too much on certain things. It’s worth identifying such things and cutting the costs. For instance, many people spend a lot of money a week on eating out. If you’re regularly buying lunch and dinner, try making it at home instead. Cutting out the costs of buying coffee every morning instead of making it yourself can also save a lot. Think about what you really need your money for, and how much you can save. It’ll make the decision for cutting out costs much easier. There are some cases where you’ll need to use your money, and fast. You may get unexpected medical bills or need to pay for a car repair so you can get to work. 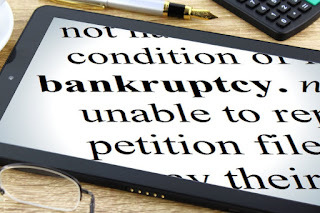 Some people overcharge their credit card or take out bank loans in these cases. This generally isn’t a good idea, as you’ll get charged more in interest. One of the best ways to handle it is to use a payday loan. Companies like Little Loans can often give you the funds you need instantly. The interest rates for these kinds of borrowers is usually much lower than conventional loans. They’re especially helpful for those living paycheck-to-paycheck, as long as you pay them back as soon as you can. You might also consider borrowing money from a friend or asking for a paycheck in advance. Your monthly bills most likely take out the biggest chunk of your funds. Consider how you could make each one cheaper. For instance, if you’re paying for an expensive apartment, maybe move somewhere more cost-efficient. Insurance bills can also be made more affordable. Make sure to compare insurance companies to make sure you’re getting the best deal. You can often negotiate a lower price. You should also find ways to cut down on electricity costs. Anything you pay weekly or monthly, try to find a cheaper way around it. For instance, instead of using an expensive smartphone plan, you may want a cheap pay-as-you-go SIM. If your gym costs you a lot each month, consider working out at home. It can be hard to save money when all your paychecks are going towards your weekly costs. Therefore, it’s worth making some extra money. There are various ways to earn some cash on the side. It can give you the extra pocket change you need. Don’t be too eager to spend all of this, though. Saving up extra income is much more helpful. You can build up an emergency stash for when you really need the money. It’ll make financial matters much less stressful. The cost of healthcare in the US has been a huge topic of financial and political debate for decades, and this isn’t expected to change any time soon! Although the national healthcare system is expanding, countless Americans still get by without health insurance, and bear the brunt of the costs. Seen as you’re reading this, you probably know just how expensive healthcare can be. Here, I’ve listed a few helpful tips for taking care of yourself without insurance. First of all, consider taking advantage of walk-in clinics and online prescription services. In all likelihood, when you’re suffering from a bad cold, or you need to top-up on contraceptive pills, you don’t need to go to your doctor and certainly not a hospital. Walk-in clinics tend to be significantly cheaper, and will accommodate for your needs when it comes to minor health problems. Wal-Mart even runs their own care clinics, so you can pop in to ask about a problem you’re having while you’re shopping for groceries! Various chain drugstores also have their own clinics, but may not measure up to Wal-Mart’s low, low prices! Aside from that, we’re living in a digital age, and there are various online services which give you access to prescription drugs without insurance. Another, increasingly popular way of getting the care you need without insurance is medical tourism. This term might set off alarm bells in your head, and that’s totally understandable. In the past, there was a very serious risk in going abroad to get surgery or another, minor treatment. However, with the internet being more accessible than ever before, it’s now much easier for people to research their options, and make sure they’re not running into anything dangerous before they hop on a plane! There are many places in the world where you can get high-quality medical treatment for a fraction of the price you’d have to pay in the States. Before you become set on the idea of traveling abroad for medical treatment, make sure you’ve asked your doctor about all the risks involved, done your own research, and that you’re in a good state to make the trip. Next, make sure you’re checking all your bills, whenever they come through. It’s pretty common for people to trust doctors and everything about the medical sector. After all, they are doctors. However, it’s a big mistake to open a medical bill and immediately assume that it’s going to be 100% accurate. 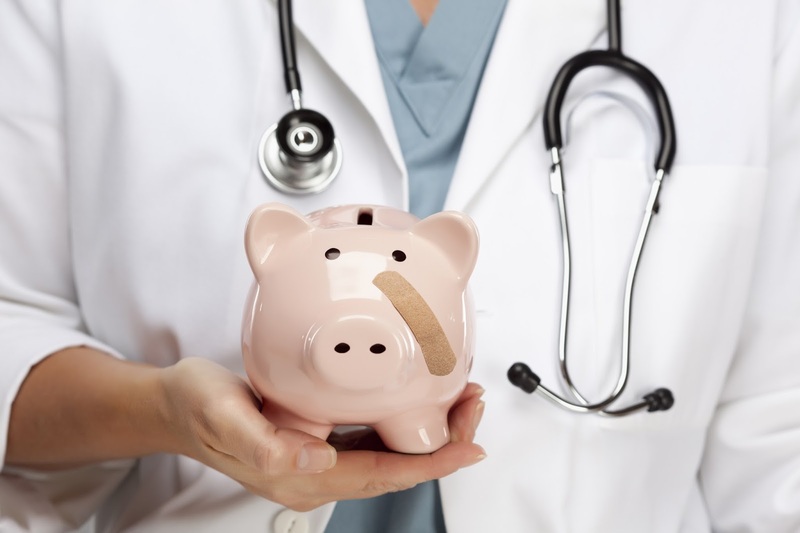 Many hospital bills have glaring errors in them, and a massive number of people manage to overlook these. Some of the mistakes aren’t all that significant. However, when you’re trying to save money, every penny matters, so get into the habit of going through your bill line by line. If you find that there’s an issue with your bill, be sure to take it up with the hospital or clinic’s accounting department. Medical organizations are very frantic working environments, and you may get passed around or forgotten. However, if you’re sure you’ve been falsely charged, always chase it up! What Can Be Done To Prevent Physical Limitations From Restricting Your Finances? Life isn’t all plain sailing, and millions are hindered by physical limitations. The level of damage differs from person to person, and many can live their lives without any major disruption. For many others, however, those disabilities and conditions can carry a far greater sentence. Physical limitations can cause a negative influence on a whole host of different life aspects. Sadly, those issues can prevent sufferers from progressing in their careers quite so easily. If you’ve been affected by a physical issue, however, it shouldn’t stop you from gaining a sense of financial security. Here’s what you can do to ensure that it doesn’t. When you are hindered by physical restrictions, it might not necessarily stop you from working altogether. In many cases, it’s still possible to work and lead a comfortable life. Moreover, laws on equality in the workplace make it a more accessible situation than ever. Of course, some limitations will stop you from working at all. In either scenario, financial support is available. Experts like Chermol & Fishman can provide the legal advice and assistance needed to gain the support you deserve. Whether it’s SSD or SSI, those funds can make a world of difference to your overall situation. We all need a helping hand from time to time. Reach out for this support, and your financial situation will start to look better almost immediately. Your physical limitations may stop you from completing certain jobs and work tasks. However, the modern world is very accommodating for those who want to make money elsewhere. This is an option that you should at least consider. 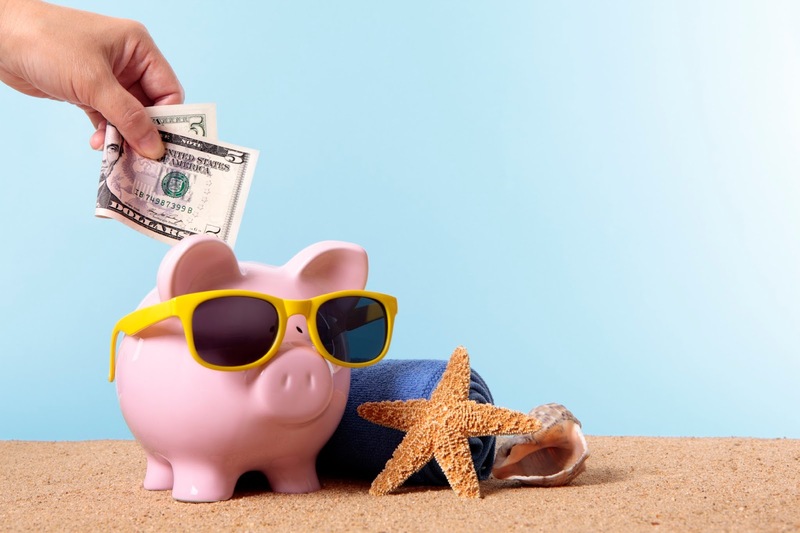 Smart investments can be the perfect way to grow your savings, and you can even inject a little fun into these ventures. You may decide that risking money isn’t an option, however. Completing surveys, doing market research, or home-based work can be another solution. You could even use YouTube and other social media streams to turn your hobbies into a side project. Earning additional money through external sources will relieve some of the financial strain. Quite frankly, it could make all the difference. Regardless of how much money you earn, wasting it is never advised. Physical limitations can increase the difficulty of earning money. So you must respond by placing greater emphasis on your expenses. There are various schemes aimed to help sufferers gain discounts on certain products. This is especially true when it comes to medical items. Meanwhile, couponing and cutting unnecessary bills can go a long way to aiding your situation too. Just think, every dollar saved on those items is another dollar that can be spent on enjoying life to the fullest. Finally, you should concentrate on keeping your credit score in good health also. After all, this can have a huge influence on your future opportunities. As long as you take responsibility for your finances, you should be fine. Above all else, maintaining great organization will remove any elements of surprise. With greater control, keeping on top of your finances will seem easier than ever. If you’ve got a fervent passion for cars, and you’ve always wanted to start a business, then you may have been playing around with the idea of dropping your nine-to-five, and opening your own dealership. For those with a bit of knowledge and competency, opening a dealership is a very attainable way to start your own business and do something you love. In this post, I thought I’d touch on some of the big financial necessities you’ll need for your dealership. While we all see the same image when someone says “car dealership”, the massive lot and showroom really aren’t that necessary. It’s 2016 now, meaning that all you really need to call yourself a car dealer, is the initial capital to buy a car wholesale, and the internet connection to advertise it. Of course, you’re going to need a little more space than your driveway if you want to have more than one car on sale at a time! Once you’ve secured enough capital, there are many good places to source your vehicles from. 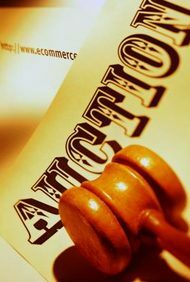 Online auction brokers, such as ADESA, have become steadily more popular in recent years, but obviously you may not be happy with the idea of paying for something you’ve never seen. You’ll still be able to find various traditional auto auctions, which don’t require a dealership license or other qualifications. All business owners need to make sure they’re getting all the right insurance, and this is especially true for auto dealers. After all, you’re not exactly running a micro-bakery! After a little research, you’ll be able to find many companies offering building and contents insurance, as well as services protecting you from public liability and various other risk factors which come with running a business. If you want to show your customers that you’ll go even further for them, then you may want to consider purchasing some gap insurance as well. Sure, you may not have a lot of capital to throw around in that first opening period of your business. Still, failing to have certain kinds of cover can really come back to bite you. Make sure that once you’re insured you’re keeping to strict record-keeping standards as well. You may need this in the event of a claim. Record keeping, and good organization in general, is essential if you want your car dealership to really take off. While not all of it is going to be necessary, keeping accurate and detailed records of all your past transactions will give you a greater understanding of how your business is growing, and the areas where it needs the most work. Aside from that, keeping a meticulously organized diary can be a huge help further down the line. You may be looking ahead at various regular tasks which may seem trivial to you now, but can end up being a massive drain on your valuable time. You’ll try a few systems before getting it right, so start today! I hope this has been some help with organizing the finances for your car dealership. Like many business models, when you have your finances meticulously organized, everything else falls into place. Like countless others, you might be throwing together plans to finally move into the house of your dreams. 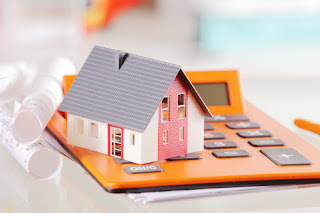 However, before you throw yourself blindly into the process of buying, you need to be aware of the various hidden costs which are tied to owning your perfect home. When it comes to big decisions like these, it can sometimes be easy to let your emotions affect your perception of the hard, financial reality. To ensure this doesn’t become too much of an issue, you need to be aware of the following. First of all, the home inspection. This is a very important phase of the buying process, and you may be tempted to go with the cheapest option possible. While I understand the allure of this, you need to avoid it at all costs. When it comes to home inspections, you really get what you pay for. If you go with a cheaper option, you could end up with an inspection that overlooks some massive, glaring issues in your home. You’ll be much better off in the long run if you find a high-quality service to take a look at the place. Still, even when you’re hiring the best home inspectors around, it pays to go a little further and do your own research on the property. If the home’s on the site of a disused mine, I’m sure you’d want to know! Insurance is another big cost which you’re going to have to think about before you seriously consider owning a home. One thing you’re going to have to prepare for is all your premiums going up. Still, you can get a considerable discount from a lot of insurers by bundling your car and home policies together. Buildings and contents insurance will also be a significant cost of owning. While insurance is a hefty and necessary cost, you can make the burden a little easier on yourself by choosing a broker that specialises in the kind of property you’re going for. For example, if you want to take out a mortgage on a high-net-worth building, you’d be better off going to a broker like Enness Private Clients. Closing costs are another big expense, which a surprising amount of homeowners fail to plan for. Ignoring this hidden cost can be a very expensive mistake, so make sure you don’t do it! Of all the different expenses tied to owning a home, the closing costs can be one of the hardest to pin down. However, any good lender will be able to give you a ballpark estimate of what the closing costs will be, allowing you to plan ahead and set aside a decent buffer. Depending on the circumstances, they may wrap your closing costs up in the mortgage. However, you’ll still have to make up for anything that isn’t covered. Knowing the closing costs well in advance can be a huge advantage, so be sure to ask questions! As you go ahead with your home buying process, make sure you’re planning ahead for these hidden costs! You can admit it. You’ve had a traffic ticket before. I’ve had a traffic ticket before. Many of us fall prey to the laws of the road from time to time. It’s only fair that we pay financial penalties as a result of our poor driving. A traffic violation isn’t completely cut and dry, though. There are sometimes other factors or possibilities that can cut the cost of a ticket. 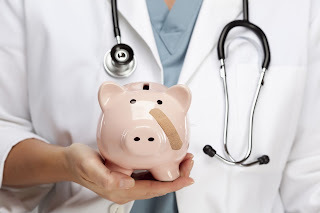 So, if you want your finances to stay healthy, you’d probably do well to follow these tips! 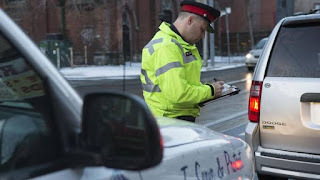 When you get a ticket, you might be given the opportunity to take a driving course instead of a financial punishment. In many cases, this sort of thing will be offered when it's a first offense or not a particularly bad one. It’ll take some time out of your schedule, but it’s a great way of ridding your financial woes entirely. In fact, some driving courses can even be taken online instead of in-person. This will obviously depend on your location. There are attorneys out there like Georgia Trial Attorneys at Kirchen and Grant that can fight your case. If you don’t believe you’re in the wrong, you’re well within your rights to contest the ticket. There are a lot of factors involved in a traffic ticket incident, and it’s not uncommon for fines to be wiped out. Lawyers will examine the evidence for you and come up with the best possible defense. This won’t take any money away from the ticket itself, but it’ll save you additional funds in the long run! In many cases, insurance premiums spike after you’ve received a traffic ticket. It’s important that you find out about this quickly, as hikes can sometimes be avoided with an agreement. Otherwise, it might just be worth starting again and shopping around for a new insurer before you start paying out the nose. Have you heard of this one? In some cases, you might be offered the ability to take ‘deferred adjudication.’ Basically, this is just a fancy term for traffic probation. It means that by doing certain things and adhering to rules, the ticket can be expunged from your record. Unfortunately, this doesn’t mean you won’t have to pay fines in many cases. Still, that ticket being written off means that it shouldn’t affect things like your insurance premium. Here’s yet another reason to get actioning your traffic ticket instantly. An unpaid traffic ticket will cause problems with your credit score. A fine is considered a debt and your unwillingness to pay it will only go against you. In fact, an unpaid ticket can be penalized with imprisonment in some states. If you’re going to fight this thing, don’t just sit and wait for someone to contact you. Action it quickly before it ruins your credit score and potentially puts you behind bars. Traffic tickets are never fun to receive, but as long as you take action quickly, you should be able to minimize the damage. What would you do tomorrow if you or a family member suffered a serious injury? Would you be able to cope financially? Given that millions of Americans are working from paycheck to paycheck, it’s unlikely. A serious injury can have grave consequences on your life, whether it is you who are hurt, or a close family member. In today’s guide, we’re going to take a look at the financial impact of such an event. We’ll also look at how you can make sure you don’t dip into financial hardship. Read on to find out more. Your health is the most important factor in all of this, of course. But the sad truth is that when you suffer a serious injury, your treatment will be expensive. 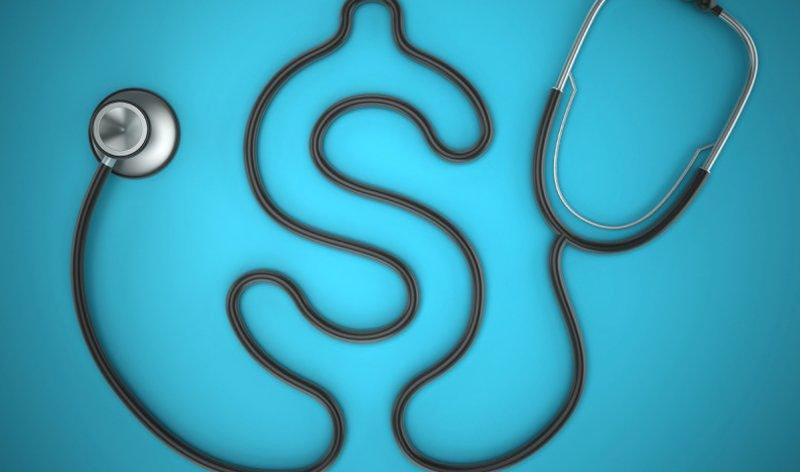 The co-pay and premiums on your health insurance will soon stack up, and you may need to make choices about the level of care you receive. The trouble is, without the fastest possible recovery, you will be unable to work for longer. Try leaning on your medical insurance provider. If you have a strong case for compensation, they might be willing to meet the costs if you pay them back once your claim has been settled. Every day you are on the sick bed is a day when you aren’t earning money. Loss of revenue will have the most dramatic impact on you and your family. If the accident is someone else’s fault, look into hiring the services of a personal injury lawyer. They will be able to help you get the compensation you deserve and take the pressure off your finances. However, in the short-term, you may not be able to pay your mortgage or rent. Try reasoning with your landlord or mortgage provider as much as possible. If you go back to work too early, it means you could exacerbate your injury even more. You may have to borrow money to get through the tough recovery period. If financial hardship occurs, it is critical to seek out help. There are plenty of organizations out there who will offer you advice, so seek out non-profit debt relief help. The worst thing you can do about debt is ignore it. 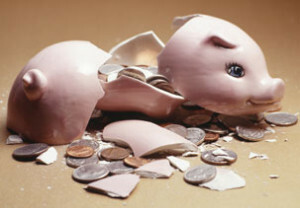 Even if you are expecting a big compensation settlement, you want to avoid throwing money away interest. 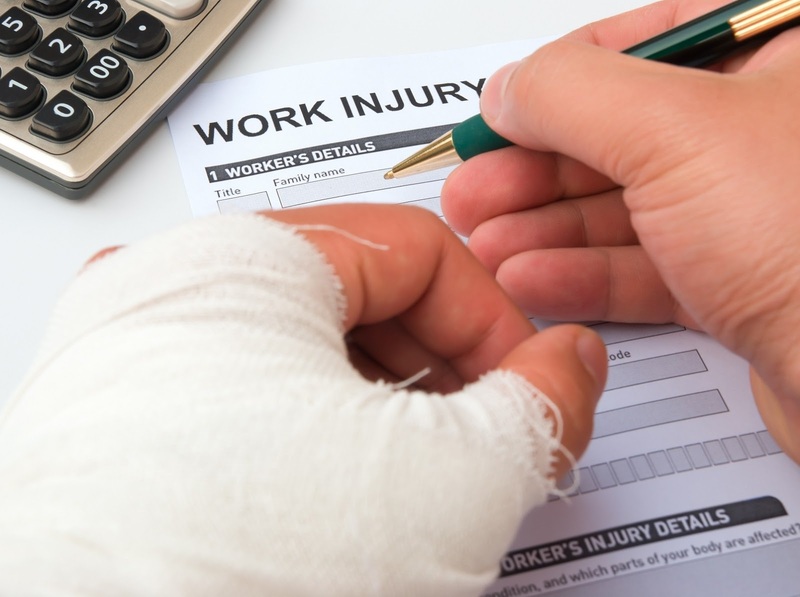 If your injury is severe enough, you might be off work for a long time - maybe even for good. And you might have to fit the bill for all kinds of equipment and home alterations to make your life more comfortable. You can put in a claim for compensation, of course. But you will still need to have robust financial plans in place if you want to lead a reasonable lifestyle. With any luck, you will never experience the difficulties that a serious injury can bring to your finances. However, it’s important to understand that there is help out there that can protect your and your family’s future. It can be a long road to travel, and it will be tough. But with the right advice, you will all pull through the challenging times. If you are in a position in life where you are keen to sell some of your possessions, then there is plenty to think about. A lot of people, when faced with this, simply find themselves unsure of where to sell and what to sell. If you are in need of money, or you are just changing things around, then you want to make sure you get the most out of it. It might be that your life situation is changing, and you want to sell as much as possible. If this is the case, then there are ways of ensuring that that happens for you. If you are curious as to how you might make this process a lot easier, then read on. We will go through some of the main items and see how you can make the process better all round. For anyone looking to completely revamp their life, this is likely to be one of the first things you sell. How much you can expect to receive of course depends hugely on the car itself. The first step here is to carry out some research based on the make and model of your car. Try to find out what you can expect to get for yours. It might be the case that online prices are a little cheaper. If that is so, also try going to any local garages or dealerships you might know. 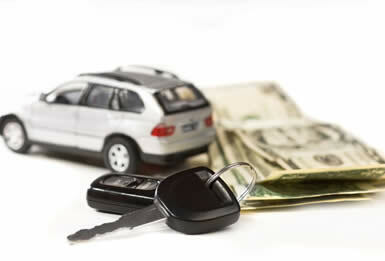 It is worth remembering, too, that you will get more money for a car in a better condition. Work hard to get your car looking as good as it possibly can. This might mean paying for some new paintwork, but for the returns you will get it will be worth it. If you are looking for speed above all, then consider lowering the price slightly and going online to sell it. You can probably get rid of it pretty quickly if you try. For those who really are moving things around, selling the home might be essential. This is a big decision to make, so you need to make sure that you are certain about it. However, if you are, there are some ways to make sure that you get the most out of it possible. First of all, try to add as much value as you can to the home itself. This is considerably easier said than done, but it is worth your while. Start in the kitchen and the bathroom, as people tend to favor these areas much more. When it comes to the actual selling process, you should try to balance profit with time. If you are in a hurry, then you might be better off using an online cash for homes service. Alternatively, you could use a realtor and do it that way. Whichever way you do it, make sure that you are happy with the final price before you sell. In the process of selling your home, you might decide you need to de-clutter. This in itself is actually a powerful opportunity for selling some items. Gather together everything you can which you think is of any value, and hold a sale. You might be surprised at just how much money you can earn this way.